Remember our cruise to Alaska? So did we... In fact we could not stop thinking about it. However, we also figured that we really should visit my parents in The Netherlands - the last time Murray saw them was in 2009 when they visited Canada! A few months ago I was raving about our Alaska trip to my Mom. She sighed "how I would love to make a cruise like that one day"... And suddenly an idea was born. 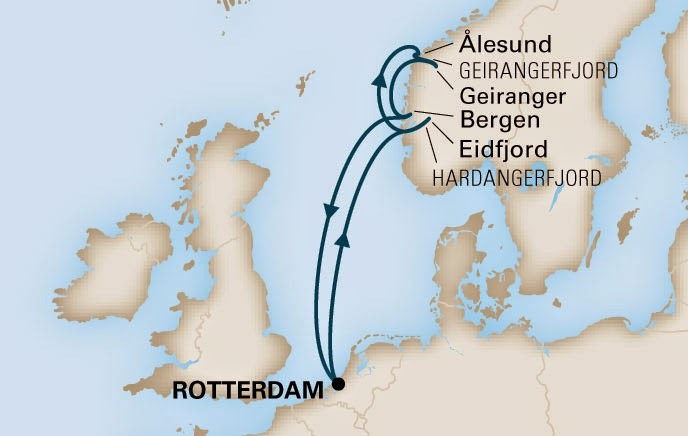 Why not combine the best of both worlds - a visit to my parents in combination with a cruise? Unbeknownst to the gentlemen in our lives, Mom and I started scheming and dreaming about the possibilities. We looked into cruises that would leave from The Netherlands, and found the perfect one at Holland America Line: a week long cruise from Rotterdam to Norway. I knew right away that Murray would love the idea, so he was part of the scheming team almost from the start. But how were we going to convince my Dad? A few days later I casually approached him how he would like the idea of the four of us going on a cruise. Dad responded exactly as expected: "A CRUISE? Oh no, I'm sure you had a good time, but that is absolutely not for us. In fact I can guarantee that your mother will want to go even less than me." I smiled a little secret smile and said "Well, why don't you ask her?" "Oh I will, " he said, "but I know the answer already." Not even 20 seconds later he came back, and gasped "She wants to go! I would never have believed it, but she loves the idea!" "Well, well, who would have thought that," I said sweetly. "And how about yourself, are you still sure a cruise is not for you? Did I mention you will be able to take lots of pictures?" Well, to make a long story short, we overcame all his objections quickly and in the end, he was more enthused about the idea than any of us! We decided to book a cruise in the month of May. 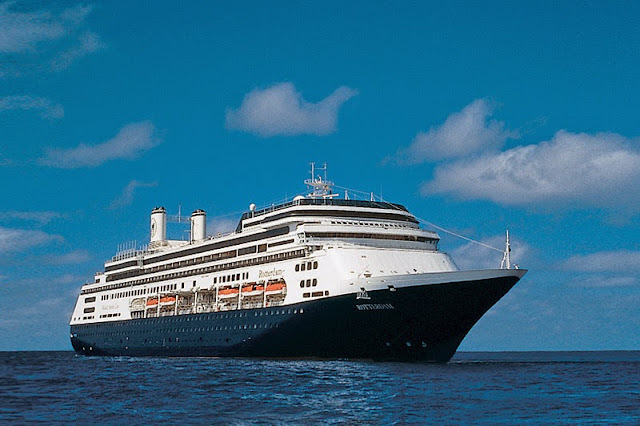 We will arrive in The Netherlands a few days before our actual cruise, and stay at the SS Rotterdam, the legendary former flagship of the Holland America Line which was retired from active duty in 2008, and became a floating hotel in the Rotterdam harbor in 2010. 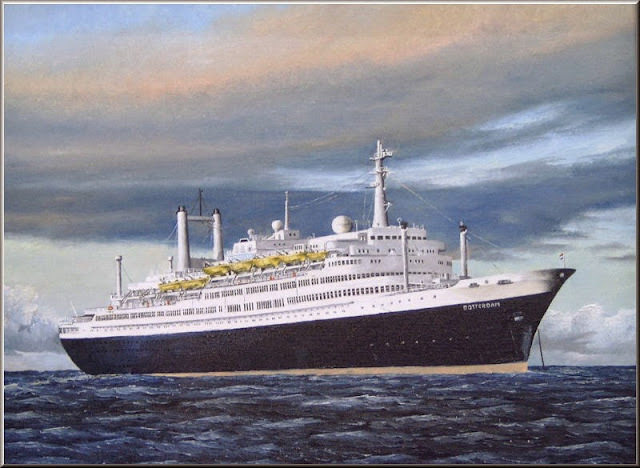 On the 9th of May we shall set sail on the MS Rotterdam. 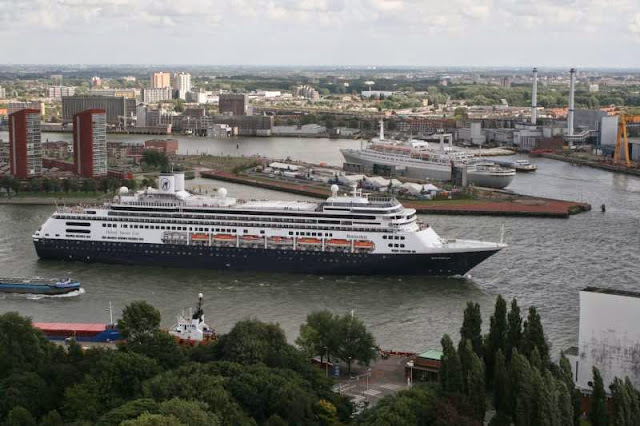 Here a picture of the two ships together in Rotterdam as captured by a shipspotter. 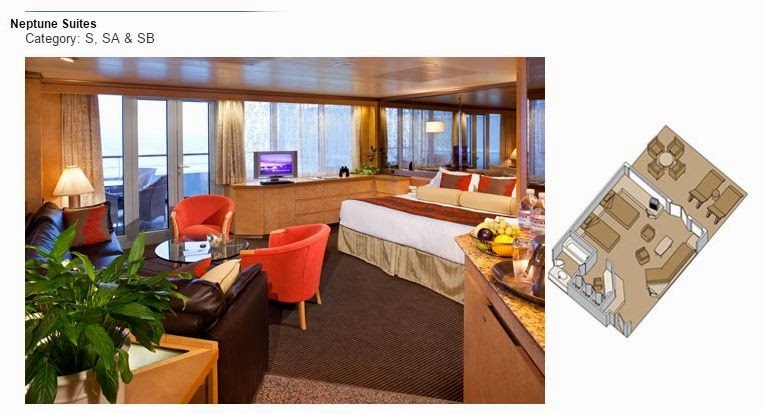 Having been thoroughly spoiled on our last cruise where we managed to upgrade to the one and only Pinnacle suite, we decided to book two Neptune suites side by side (7027 and 7029). We can't wait to set sail!